Season the tuna steaks with salt and pepper and place them in a shallow dish. 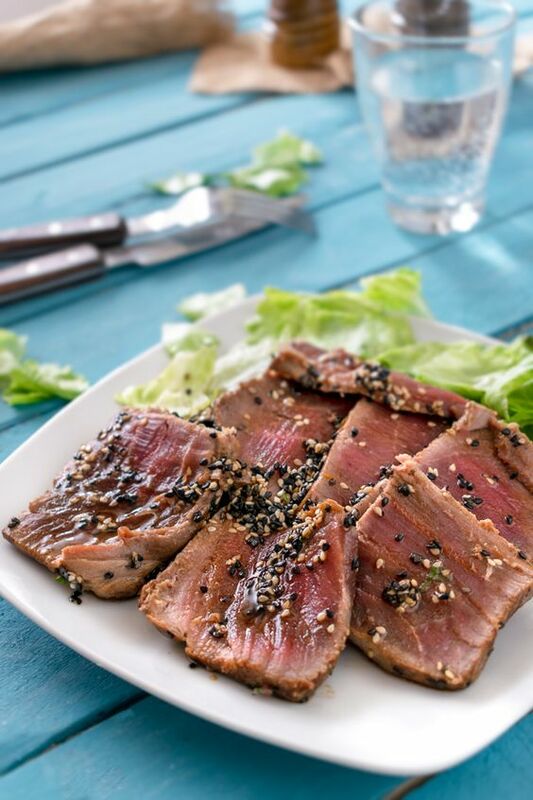 Whisk together the soy sauce and sesame oil then pour over the tuna steaks. Turn to coat then marinate at room temperature for 15 minutes. Heat a large nonstick skillet over medium-high heat until hot. Add the tuna steaks and cook for 3 minutes until seared underneath. Flip the steaks and cook for another 2 to 3 minutes until done to your liking. Slice the steaks in ½-inch slices and garnish with sesame seeds to serve.